Habitat: (view in new page) :Secondary : Limestone cliffs, Schist cliffs, Mixed evergreen oak and deciduous trees. Habitat : (s'ouvrir nouvelle page) :Secondaire : Falaises calcaires, Falaises siliceuses, Chênaies vertes et mélangées à d'autres feuillus. Perennial plant, 15-40 cm. Small fern, slightly shiny, fairly narrow. 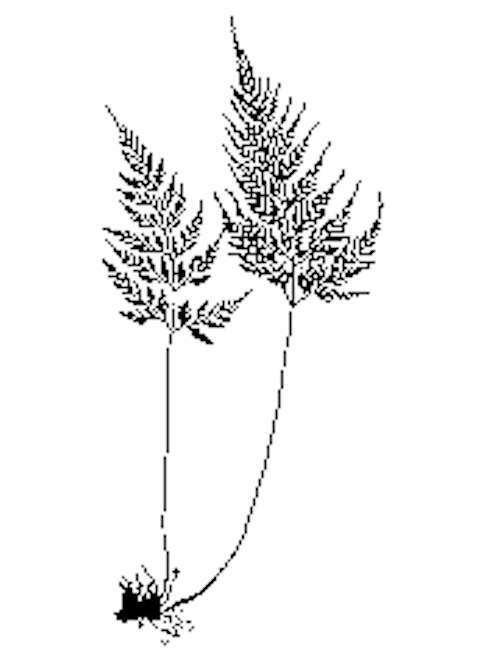 Leaves: Same as Asplenium Adiantum-nigrum, except pinnate (and sometimes lower pinnules), caudate (i.e. terminal part tapered and almost linear), growing especially on earth. Stalk longish, red-brown to well above base of leaf.